BANGKOK, -- The Royal Thai Air Force (RTAF) has deployed four of its upgraded Lockheed Martin F-16 multirole combat aircraft at Exercise 'Pitch Black' 2016, a multilateral air combat exercise being hosted by the Royal Australian Air Force (RAAF) in Darwin, northern Australia, from 29 July to 19 August. 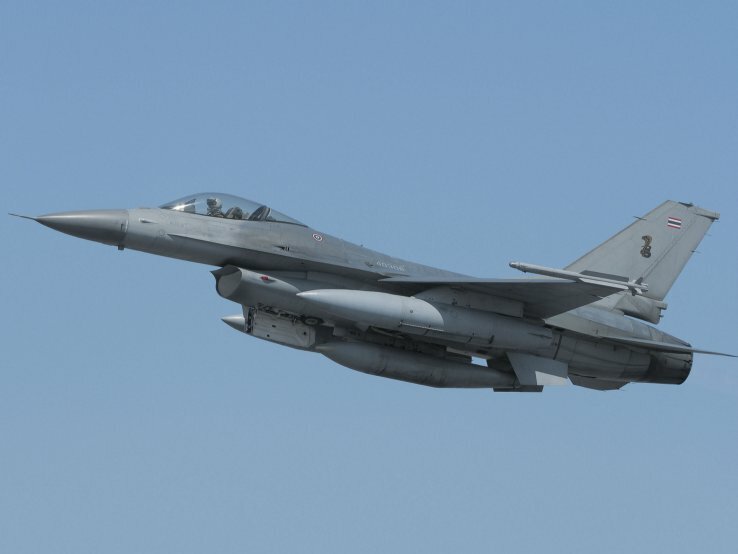 IHS Jane's has learnt from a Thai military official that this is the inaugural deployment of four F-16A/B Block 15 multirole combat aircraft that have benefited from the service's ongoing F-16 mid-life upgrade (MLU) programme. The RTAF detachment participating in 'Pitch Black' 2016 comprises one F-16B twin-seat F-16B and three single-seat F-16A platforms. "The basic performance of the aircraft remains unchanged because they retain the same airframes and engines," Group Captain Chanon Mungthanya, commander of the RTAF detachment participating in the exercise, told IHS Jane's . "However, the aircraft have improved avionics that speeds up our sensor to shooter cycle." The RTAF's F-16A/B detachment has also revealed a new Diehl BGT Defence IRIS-T (Infrared Imaging System-Tail control) air-to-air guided missile capability for the first time, with the aircraft photographed by IHS Jane's armed with IRIS-T missiles mounted on their wingtip rails. The 90 kg missile, which features an advanced imaging infrared (IIR) seeker and specially designed thrust-vectoring controls, is stated to be capable of intercepting targets out to a range of 25 km at a maximum speed of Mach 3. Chanon declined to go into the specifics of the new capability, only to say that IRIS-T was integrated into the RTAF's F-16s "not too long ago". Thailand earlier selected the missile in 2010 to equip the service's new fleet of Saab JAS-39 Gripen C/D combat aircraft. 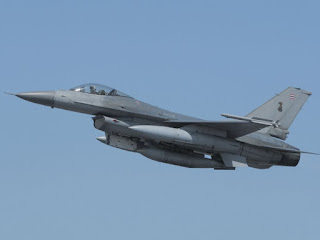 In September 2010, the US Defense Security Cooperation Agency (DSCA) announced that Thailand had requested a Mid-Life Upgrade (MLU) package worth USD700 million to extend the life of 18 ageing F-16A/B Block 15 aircraft, which includes the installation of the Northrop Grumman AN/APG-68(V)-9 radar, BAE Systems AN/APX-113 combined interrogator and transponder system, Terma AN/ALQ-213 electronic warfare management system, ViaSat MIDS-LVT Link 16 tactical airborne terminal, a countermeasures dispensing system, as well as the provision of spare parts, tools, and support equipment. The Royal Thai Air Force is showcasing four of its upgraded F-16 multirole combat aircraft during Exercise 'Pitch Black' 2016 in Darwin, Australia. Seen here is one of three F-16A platforms armed with the IRIS-T air-to-air missile.